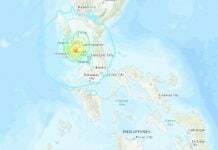 Was it a sign for the July 13, 2014 earthquake? Reading sign before Japan earthquake in July 2014! Japanese Fishermen catch 105 “Photonectes” fish near the coast of the province of Kochi. But, what’s weird is that this fish species naturally lives at 1,000 meters under the water surface. 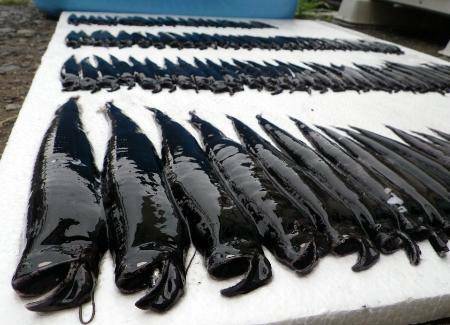 Over 100 Photonectes deep-sea fish were caught in shallow water off Japan coast on July 2014. 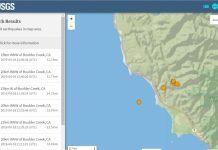 A sign for the July 13th earthquake? According to the fishermen, fishing nets were only 70 meters deep. Moreover, another rare deep-sea fish was caught in abundance (46 tons) although the daily average is about 200 kilo. So why do these rare and deep water fish now occur in shallow waters? The cause of this drift into shallow waters is still a mystery, but some speculate, it could be related to climate and ocean currents’ change, volcanic eruptions or even could be a warning sign for an imminent nature catastrophe such as a large earthquake and a possible tsunami. I would also add the Fukushima Daiichi Nuclear disaster! 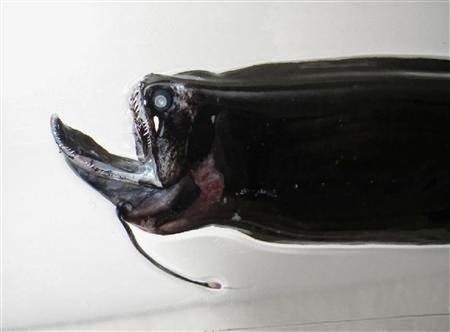 The mysterious Photonectes deep-sea fish… Looks terrifying! But in this case, it could also be related to the strong and deadly typhoon Neoguri experienced by Japan since about a week. 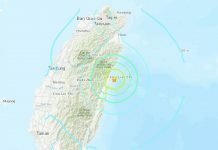 Since it occurred six days before the 6.8 earthquake on July 13, 2014, it may also have been a protective sign from nature. For now, this nature mystery is being studied by oceanographers and other Japanese scientists. Hopefully, they will find a reason soon!